33% off this Honda Grom kit while supplies last! 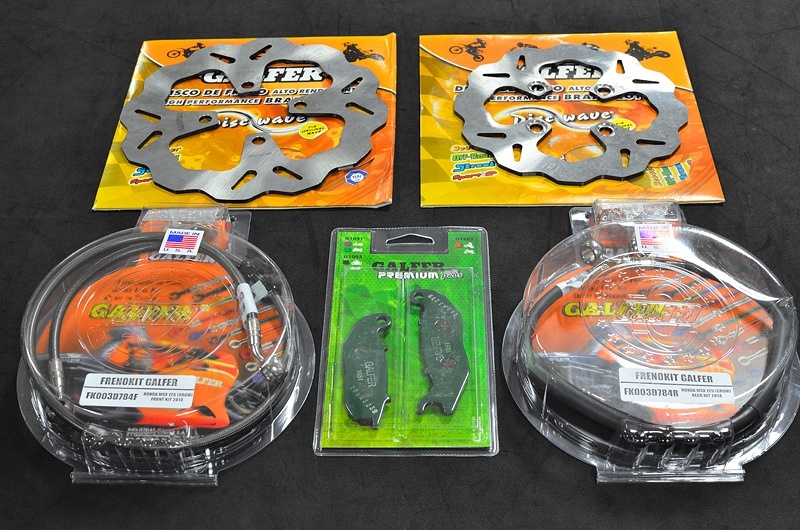 Front and rear 64 count braided stainless and Dupont Teflon lines w/ banjos, front and rear heat treated, ground, 420 high carbon stainless wave rotors, premium kevlar organic compound front and rear pads. HUGE increase in brake feel and stopping power.